While we can all pack ourselves in cotton wool and live long, miserable lives, we can also choose to leave consenting participants alone, given that even in sports such as UFC they are no risk to anybody else. I don't know much about Mixed Martial Arts or UFC, but I do know a rough sport when I see one. And yet all I need to know is that when it's a contest between consenting adults, we can leave the enthusiasts alone to enjoy it. 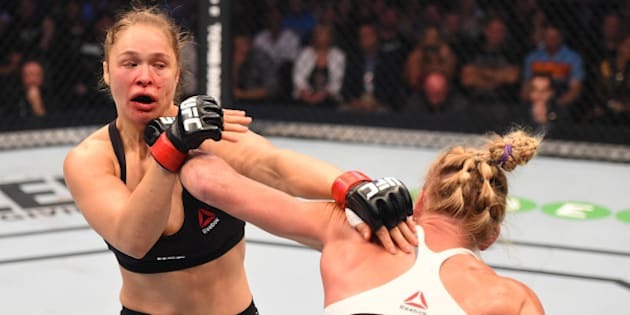 After the high profile UFC fight in Melbourne, when Holly Holm knocked out Ronda Rousey, there has been a predictable backlash from Australia's public health wowsers. I say it is predictable, because some people cannot walk past any event where people are having a good time without wanting to shut it down. Perhaps UFC is a dangerous competition, but to date I understand there have been no fatalities. This is more than can be said for nearly any other sport you can think of. We regularly hear of people dying during fun runs, playing squash, cycling, yachting or even playing golf. And let's not mention rugby scrums. However, you'll never hear doctors' unions like the Australian Medical Association coming out against these sports, because they are also doctors' pastimes. The doctors will tell you they object to boxing and mixed martial arts because hitting someone is the objective of these sports. But it seems the doctors' objective is to prevent working class people from doing something of which they simply disapprove. In the heart of every supporter of the nanny state is a belief that they know better, an affliction from which many doctors suffer. But as we are hearing in evidence in the Senate's nanny state inquiry, regulations are just as often counter-productive. We have heard compelling evidence, for example, that making bicycle helmets compulsory has discouraged many Australians from riding bikes altogether, which ultimately has not been good for their health. The hypocritical oafs who say otherwise should be ignored. They merely prove that there is something far, far worse than being injured playing sport, and that is to become a bitter, sanctimonious bore who wants to tell others how to live their lives.